By committing to just one term, Biden can improve his chances of winning in 2020 and bring much needed stability back to the White House. With Senator Elizabeth Warren’s announcement to kick things off last week, the field of Democratic presidential candidates promises to grow quickly. Senators Kamala Harris and Corey Booker are likely to join Warren soon. Congressman Beto O’Rourke is mulling over whether to capitalize on his unexpected popularity. Senator Kirsten Gillibrand clearly wants the job but seems to be alienating huge chunks of potential voters every time she tries to seize the spotlight (Al Franken, polarizing tweets, courting Wall Street execs). But the biggest currently undecided candidate who can tilt the balance of the race is probably Joe Biden. The former Vice President leads in early polls, has the name recognition and base of support to prevail in a divisive primary, and is already being endorsed by leaders like Senator Diane Feinstein and Governor Andrew Cuomo. In a field that could have more than a dozen candidates, Biden has the popularity to win the necessary plurality in early primary states. And he’s clearly considering his options. Last month Biden said he thought he was the most qualified person in the country to be President and we should excuse his hubris because he’s probably right. 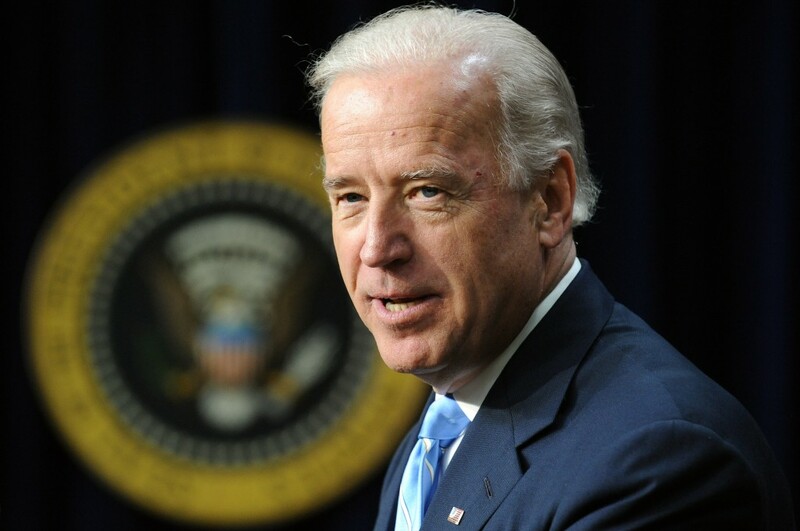 No other likely Democratic candidate would be able to step into the job, as ready to go as Biden, on day one. Biden’s knowledge and experience would be a welcome contrast to Trump’s erratic leadership. And not only would Biden bring stability to the White House, but he could be a great foil to Trump as a candidate. The biggest obstacle on Biden’s path to the White House is probably his age. Some voters are simply less willing to support older candidates, either because they question their mental faculties or because they’re more drawn to the rising star than the experienced leader. An article in the National Review about Biden and Bernie Sanders recently called them Too Old, Too White, and Too Male. In today’s Democratic party, maybe that’s true. But there is a way for Biden to make his age less of an issue—run on the promise that he’d only be a one-term President. By doing so, Biden can make his campaign about his greatest virtue—the experienced leadership that can help push this country back in the right direction—and nip many voters’ concerns in the bud. Voters who think Biden is too old are more likely to put those concerns aside if his term has a clear end date. Those who would prefer a woman President can probably support Biden if say, Amy Klobuchar is his Vice President with a clear path to the nomination in 2024. Furthermore, by pledging to be a one-term President, Biden will appeal to many voters who want a stable alternative to Trump, but may not be willing to support a more progressive candidate like Gillibrand or Sanders. A one-term Biden presidency would provide a welcome reprieve from incoherent tweets, perplexing lies, and a revolving door of cabinet members. By making a bargain with voters—you give me four years and I’ll get things back to normal again—Biden can win over Americans who are exhausted by the uncertainty of Trump’s presidency. To be clear, nobody believes that Biden is the future of the Democratic party. But many Democrats, and likely even some Republicans, would welcome him back to the executive branch as a way to restore sanity and decency to the highest office in the country. Whether Biden chooses to run is up to him. But if he does run, pledging to be the first President since George Washington to limit his own term in office will give him the best chance of success. As a 72 year old, l agree. Get America on the right track again.